From the back of the book: A massive, open world, brimming with mystery. A gauntlet of giants to overcome, living levels that must be destroyed... but to what end? 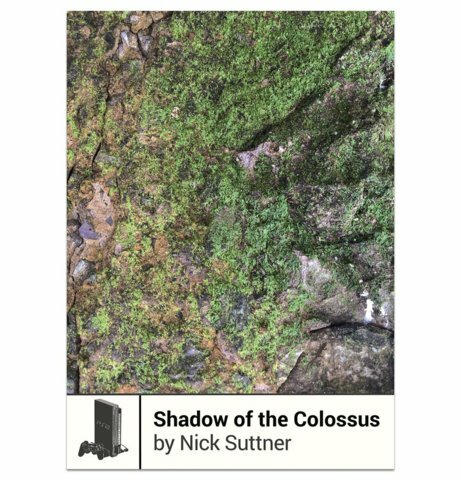 Since its 2005 release, Fumito Ueda's minimal-yet-epic masterpiece, Shadow of the Colossus, has often been hailed as one of the greatest video games of all time. But why is Shadow still utterly unique over a decade later? Nick Suttner examines this question and others while journeying across Shadow’s expanses—stopping along the way to speak to developers about the game’s influence, examine the culture around its unfinished mysteries, and investigate the game's colossal impact on his own beliefs about games, art, and life.